Varuna (the National Writers House), in association with the Blue Mountains Conservation Society, presents the Mick Dark Talk for the Future 2016. 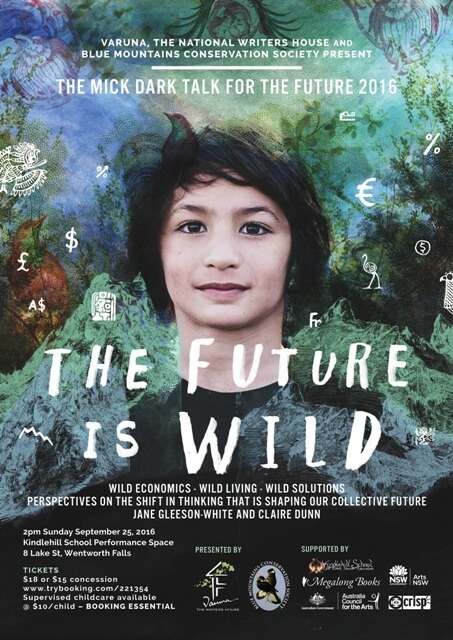 Jane Gleeson-White and Claire Dunn will explore responses to the challenges we face when contemplating a sustainable future and acting with the knowledge that we are not separate from but intrinsically connected to nature. For more, see our calendar entry. This entry was posted in Seminar on 14 September, 2016 by Bushcare Office.